Sickle Cell Disease – 14 Helpful Steps! Sickle cell disease primarily affects people of African, African American, Mediterranean, Middle Eastern, and Asian Indian ancestry. There is also a growing segment in the Latino-American population particularly those of Caribbean, Central American, and South American ancestry that are affect by this disease. In the United States one out of every 400 births has this disease. The most common type of sickle cell disease is sickle cell anemia. In my companion article “African Americans and Sickle Cell Anemia” I covered a lot of material about the cause and symptoms of this disease. This article will provide you with 14 helpful steps in managing this disease. Plus, new research confirms the importance of proper nitric oxide production in helping to reduce the painful symptoms of sickle cell anemia. Brief Overview of Sickle Cell Disease! Sickle cell disease is caused by a genetic change in the hemoglobin portion of the red blood cell. Hemoglobin is the oxygen-carrying protein inside the red blood cell. Normal red blood cells are oval and flexible. Red blood cells in sickle cell disease have a tendency to reshape themselves into rod-like structures that resemble the curved blade of a sickle; thus, the term sickle cell. Sickle cells have a much shorter life span than normal red blood cells. This results in chronic anemia and reduced oxygen to the tissues of the body. In addition, sickle cells are less flexible than normal red blood cells. This presents a problem. They become trapped in the small blood vessels preventing blood flow to the body’s tissues and organs. This compromises the delivery of oxygen and usually results in pain and potential damage to the associated tissues and organs. Recent Research – The Importance of Nitric Oxide! Researchers at Duke University and Howard Hughes Medical Institute recently discovered one of the keys to the cause of pain in sickle cell disease. Their findings were reported in the January 31, 2005 Proceedings of the National Academy of Sciences. Their research showed that when normal red blood cells move through the arteries they release a signaling molecule that tells the arterial walls to expand. The signaling molecule is nitric oxide. Nitric oxide causes the smooth muscle in the wall of the blood vessel to relax. This helps to open up the blood vessel allowing the red blood cells to pass through it. The researchers at Duke University discovered that when red blood cells distort to their sickle shape, the walls of the arteries don’t expand. This distorted shape of the sickle cells, combined with the fact that they tend to clump together, ends up blocking blood flow through these small arteries and capillaries. The Duke researchers also noted that as the blood pulses, the walls of the arteries didn’t expand like they do when normal red blood cells are present. Their research also noted that the degree of nitric oxide deficiency directly correlated with symptom severity for those with sickle cell disease. This means that the less nitric oxide produced the greater the pain. The Duke/HHMI study found that when nitric oxide was administered to people with sickle cell anemia their symptoms were relieved. One of the conclusions from this study was that abnormal nitric oxide processing may be the real cause of sickle cell circulatory restrictions. In addition to the Duke/HHMI study, several other studies have demonstrated that when nitric oxide is administrated to people with sickle cell anemia their symptoms are greatly reduced. 1998 Nobel Prize in Medicine! In 1998 the Nobel Prize in Medicine was award to three American researchers. Part of what came out of their research was that the primary pathway for creating nitric oxide in the body came from an essential amino acid called L-arginine. L-arginine is called an essential amino acid because your body cannot produce it. It must be brought into your body through your diet. L-arginine is found in foods like milk, cheese, yogurt, meat, and other proteins. In fact, L-arginine is considered one of the most important molecules ever discovered. Columbia University refers to L-arginine as the “MAGIC BULLET” for the cardiovascular system. Genetic Polymorphism and the Importance of L-citrulline! Unfortunately, there is a genetic polymorphism common to the African-American community. Many African-Americans produce too much of an enzyme called arginase. In the bloodstream, arginase destroys L-arginine so that it is no longer available for the production of nitric oxide. This compounds the problem of not have a sufficient supply of nitric oxide available to help relax the small arterial walls. This is especially important when the red blood cells change into their sickle form. This means that proper dietary supplementation using the amino acid L-citrulline can help the body bypass the destructive effects of the enzyme arginase so that proper nitric oxide production can be restored. Since nitric oxide regulates the muscle tone of blood vessels this becomes extremely important in preventing blockages. Additionally, nitric oxide prevents blood platelet cells from grouping together in a clot which also helps to prevent blockages in the blood vessels. 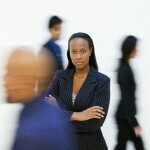 14 Steps to Help Those with Sickle Cell Disease! Understanding the past and most current research will help to chart a plan of action to help those who suffer from sickle cell disease. The following 14 steps will help in this process. However, please remember that these steps are for informational purposes only and is not a substitute for professional medical advice, examination, diagnosis, or treatment. Always seek the advice of a physician or other qualified healthcare provider with any questions you may have regarding this or any medical condition. Never disregard professional medical advice or delay in seeking it because of something you have read in this article. If you think you may have a medical emergency, always call your doctor or 911 immediately. Step 1 – Proper hydration. It’s estimated that 75% of Americans have mild, chronic dehydration. This will affect blood flow so getting the proper amount of water on a daily basis is critically important. And, it must be pure water! Pop, coffee, diet soda, alcohol, or other doctored beverages do not count. Your body must replace 2-3 quarts of water everyday. As a rule of thumb, for every 15 lbs of weight, you need 8 ounces (1 cup) of water. Step 2 – Stay warm. Cold reduces blood flow because capillaries constrict. If you live in a cold environment, then take extra precaution to keep your extremities, especially fingers and toes, properly protected. Step 3 – Avoid high altitudes. Geographic locations with high elevations should be avoided due to the reduce level of oxygen in the atmosphere. Step 4 – Exercise. Intense exercise should be avoided but mild to moderate aerobic exercise can be a benefit. Exercise improves blood flow. 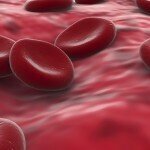 Research has shown that blood flow across the endothelial cells will stimulate nitric oxide production. Additionally, exercise will produce collateral capillary beds that can aid in providing alternative pathways for blood flow when an arterial pathway becomes blocked. Collateral capillary beds are extremely important for those with sickle cell disease. However, before starting an exercise program, you should always consult your physician. Step 5 – L-arginine supplementation. The body utilizes L-arginine to create nitric oxide. Nitric oxide is necessary for the proper function of the cardiovascular system especially in the control of the elasticity of the arterial walls. Now, before you go out and start buying L-arginine supplements you need to be aware of the dark side of this amino acid. L-arginine ingested in its pure form tastes terrible. By itself, L-arginine can have some serious side effects. Because L-arginine can have negative side effects it must be properly formulated if it is to have a positive impact on helping the body create nitric oxide. It is critical that the company and the person who formulates an L-arginine product have both experience and clinical documentation to its effectiveness. From my experience, the best L-arginine supplement comes from Synergy WorldWide. Their product, ProArgi-9 Plus, was developed by Dr. Joe Prendergast who is Board Certified in Internal Medicine as well as Endocrinology and Metabolism. Dr. Prendergast is an expert in integrative L-arginine therapy and has been using it in his practice since 1991. As a precaution, you should discuss this with both your physician and pharmacist especially if you are on any type of medication. Step 6 – L-citrulline supplementation. This step is as important as step number 5 and maybe even more important. Usually L-arginine provides a 30 minute to 2 hour window of improved nitric oxide production. By supplementing with L-citrulline that window of improved nitric oxide production increases to 24 to 36 hours. When properly combined with L-arginine and other important heart healthy ingredients, this dramatically improves the endothelial cells ability to properly produce nitric oxide, the master signaling molecule for the cardiovascular system. This is an important component in ProArgi-9 Plus. Step 7 – Rest. It’s important to get adequate rest since stress can have a negative effect on your overall health and wellness as well as lowering your immune system. Step 8 – Support your immune system. There is so much that could be said in this area. Increasing your consumption of antioxidant rich fruits and vegetables would be an important first step. Daily consumption of at least 500 mg of vitamin C would help both the immune system and liver function. Step 9 – Support your liver. Again, there is so much that could be said in this area. Adequate amounts of green leafy vegetables with proper water intake are two good first steps to help the liver. Taking 500 mg of vitamin C will help increase the rate of synthesis of glutathione which is a major component in liver detoxification. Step 10 – Avoid people with colds and flu. Try not to place yourself in situations that allow for infections to occur. This may require you to use a mask if your work or school environment is compromised with illness issues. Step 11 – Immunizations. Stay up-to-date with the proper immunizations. Work with your health care provider to set up a schedule so that all the proper steps are taken to stay on top of this area. Step 12 – Folic acid supplementation. Folic acid is a necessary component for the production of red blood cells. The recommended daily amount for adults is 400 micrograms and 600 micrograms in pregnancy. If you are thinking about taking a larger amount, then you should discuss this with both your physician and pharmacist. This is an important component in ProArgi-9 Plus. Step 13 – Support groups. Because of the emotional challenges that come with sickle cell disease it always helps to find a support group to share frustrations, challenges, hopes, and successes. Step 14 – Family planning. Due to the genetic nature of sickle cell disease, it’s always helpful to discuss options with a family practitioner who has experience in genetic counseling. Because of the genetic nature of sickle cell disease there is no pill to cure it. This can leave individuals and family members feeling helpless in their battle against the symptoms of this disease. 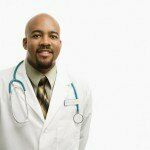 That’s why it’s important to discuss these 14 steps with a qualified physician. Together you can develop a plan of action; one that will empower you to have better control over the symptoms of sickle cell disease. Nitric Oxide and Sickle Cell Anemia! Outside our body Nitric Oxide is considered to be an environmental pollutant. Inside our body it is one of the most important, if not THE most important signaling molecule for the cardiovascular system. It even plays a role in helping to reduce the symptoms of sickle cell anemia. Recent Research – The Important of Nitric Oxide! The researchers at Duke University discovered that when red blood cells distort to their sickle shape, the walls of the arteries don’t expand. This distorted shape of the sickle cells, combined with the fact that they tend to clump together, ends up blocking blood flow through these small arteries and capillaries. This reduces or restricts blood flow resulting in lack of oxygen to the tissues causing pain and damage. The Duke researchers also noted that as the blood pulses, the walls of the arteries didn’t expand like they do when normal red blood cells are present. Their research confirmed that the degree of nitric oxide deficiency directly correlated with symptom severity for those with sickle cell disease. This means that the less nitric oxide produced the greater the pain. The Duke/HHMI study found that when nitric oxide was administered to people with sickle cell anemia their symptoms were relieved. One of the conclusions from this study was that abnormal nitric oxide processing may be the real cause of sickle cell circulatory restrictions. In addition to the Duke/HHMI study, several other studies have demonstrated that when nitric oxide is administrated to people with sickle cell anemia their symptoms are greatly reduced. One such study was performed in 1997. Researchers at the Massachusetts General Hospital released a study suggesting that inhaled Nitric Oxide might successfully treat sickle cell crisis. This is the term used to describe the characteristic episodes of debilitating pain often associated with sickle cell anemia. As a genetic disorder, sickle cell anemia affects the structure of the hemoglobin portion of the red blood cell. Hemoglobin carries oxygen from the lungs to the organs and tissues throughout your body. When the abnormal hemoglobin releases its bound oxygen, it changes from the normal flexible disc of the red blood cell into a rigid, elongated sickle shape. These sickle cells become sticky and adhere to each other as well as the walls of the tiny blood vessels. This blocks blood flow to the tissue or organ resulting in excruciating pain and potential tissue damage from the lack of oxygen. Unfortunately, there is an additional genetic polymorphism common to the African-American community. Many African-Americans produce too much of an enzyme called arginase. In the bloodstream, arginase destroys L-arginine so that it’s no longer available for the production of nitric oxide. This compounds the problem of not have a sufficient supply of nitric oxide available to help relax the small arterial walls. This is especially important when the red blood cells change into their sickle form. One of the ways around this is to use a nutritional supplement that combines the essential amino acid L-arginine with L-citrulline. Your body will metabolize the amino acid L-citrulline to yield more L-arginine. This helps to augment your body’s ability to produce Nitric Oxide and effectively bypasses the arginase enzyme. Additionally, L-citrulline helps to optimize blood flow throughout the body and promote healthy energy levels.